I made an investment in music and musicians today. A reader alerted me to the first audiophile release from PS Audio’s collaborative recording project with Steven Vidaic of Immersive Records and Gus Skinas of Boulder’s Super Audio Center. I remember talking with Paul McGowan during my visit to Boulder over a year ago about this project. It’s a collection of 10 tunes in a variety of musical styles and titled “ONE”. The artists are a mix of new talent and a few further along in their careers. I paid my $35 for the digital download version of the album and have been enjoying the music through my system at 176.4 kHz/24-bit PCM. There is some really nice music on this album. And I applaud Paul, Steven, and Gus for pulling together a project that focuses on providing a financial payback to the people that actually conceive and perform the music. The physical album is priced at $45, which is pretty pricey by my standards. AIX Records sells Blu-ray albums with three high-resolution mixes (source recordings at 96 kHz/24-bits), HD-Video, and a whole bunch of bonus features for $35 AND provide customers with the digital files free of charge — so perhaps the value proposition isn’t as good as it might be. But I wanted to support the effort and the musicians. The tunes range from instrumental acoustic to solo piano to jazz and even an experimental piece for “prepared guitar”. Like the AIX Records catalog, the artists and repertoire on ONE are not mainstream names. Think of this disc as an attempt to group some audiophile recordings into a nice demo compilation and you’ll understand the concept. All but two of selections were recorded at Immersive Studios in Boulder and mastered by Gus at the Super Audio Center. Fiona Joy’s track “Ceremony” was recorded on analog tape by Cookie Marenco and Ron Miles’ track “Darken My Door” was recorded at Wind Over the Earth, which is also in Boulder. I like to read technical notes about recordings but the booklet doesn’t supply much more than the basics. No mention of microphone types, signal path, or post processing (compressors or artificial reverberation), or monitoring specifications are included. It is clear that Immersive has a multichannel Sonoma DSD recording system, which operates at DSD 64. The engineering credits are also not uniformly mentioned. This album is promoted as an audiophile quality project but it seems more like a collection of some of the best projects produced at Immersive over the past 6-7 years grouped together. Gus Skinas, one of the oldest and biggest supporters of Sony’s DSD initiative, mastered them and PS Audio is making them available at 176.4 khZ/24-bit PCM and DSD files and as a hybrid SACD (with CD layer). The reader that alerted me to this collection asked what I thought of the sound of the project. The music wasn’t really to his taste but he wrote and asked what I thought of the fidelity. Are these hand-mastered tracks “nothing short of stunning”? Do they qualify as high-resolution music? What about the 176.4 kHz 24-bit PCM versions? Do the tunes benefit from having that very high sample rate? As you might have guessed, I’ve analyzed each track. I listened to the music, looked at the spectra, calculated the dynamic range or each tune, and compared the productions with respect to consistency, reverb levels, use of compressors, etc. I’ll provide my assessment over the next couple of posts. I’ve heard about this project for a while. Color me curious. On a side note, I love reading the technical notes on how a recording was produced. That’s one of the things I appreciated a lot about the, now defunct, TELARC label. They would, almost always, include information in the notes about the recording venue, microphones, recording equipment, amps, monitoring speakers, etc. Almost no one includes that kind of detail anymore. Getting information on the microphones, preamp, and the rest of the production chain is rare. I think in this case, they didn’t have the information because the recordings were done over many years. Do you mind if I ask a question indirectly related to this post? I am trying to find an explanation of why hi res recordings sound physically better than CD quality. It is so claimed and I have listened to hi res tracks from this site as well as others and cannot hear a difference. What am I supposed to hear? I play through a good Denon AVR into Kef q300 speakers, from a media player that handles hi res formats. Is this set up not good enough? Here’s the thing – since human hearing in adults stops short of 20khz, why does the extra frequency in hi-res stuff make any difference? In fact, you know that as we get older, our high frequency sensitivity declines – at your age, for instance, I would be surprised if your hearing tests above 13khz. And since you are using your ears to balance sound, what can you really hear? I know that some musical instruments produce ultra-sonic tones but why does that matter in recording if our ears can’t hear them? So again, what is the physically proven benefit, according to physics and knowledge of human hearing, of hi res recordings? Can one actually show a spectral difference in a hi res vs.the same thing downsampled to 16/44khz recording between 20hz to 20khz? I also understand that you get a wider dynamic range in 20 or 24bit but frankly, unless the recording is compressed, that is a nuisance. Let me explain. I listen to classical music – symphony orchestras can play very softly or very loud but the dynamic range on standard recordings exceeds what I can comfortably hear at any one volume setting – if I turn up the volume to hear a ppp violin, I have to turn it down when the orchestra goes fff. It would be better for me to have the dynamic range compressed rather than expanded. My amplifier offers an optional setting for softly played music that effectively does this compression (so called night mode). This seems to imply that this is recognised problem with listening in domestic environments. 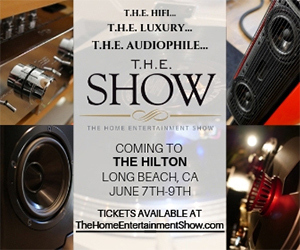 Home environments are not recording studios or halls and lets face it, you guys record what sounds good to you in the studio or recording booth but that is not what it will sound like in playback in a home. The biggest improvement for my musiclistening then would appear to be a high quality DAC and better loudspeakers, not hi res recordings. Your opinions and evidence to clarify my assumptions will be gratefully read. What are you supposed to hear? It varies depending on your playback system, your experience, your ears, and the content that you’re listening to. In fact, most “so-called” high-resolution music files are simply half full, large bit buckets with premium prices on them. The provenance of the source recordings are usually analog tapes…which have limited dynamic range and lots of other compromises. If you don’t hear any differences when listening to the free downloads that I offer from my catalog, then high-resolution music files are not for you. Even if you disregard the benefits of higher sampling rates and longer word lengths, the unique recording methodologies employed in my release usually are immediately apparent to customers. The Absolute Sound magazine editor said he had never heard a better recording. To explain the benefits of higher sampling rates would mean rehashing stuff I been writing about for over three years. 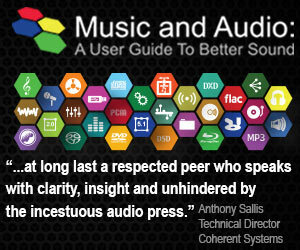 The new book deals with this…you might consider pre-ordering a copy (www.musicandaudioguide.com). The bottom line for me is that the 96 kHz/24-bit PCM format has enough fidelity to meet or exceed that of human hearing. I believe that we shouldn’t compromise by accepting a lower spec…why? 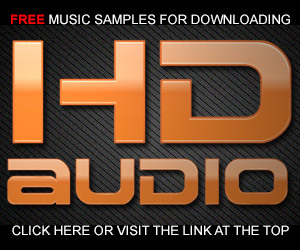 It easy to do, inexpensive, and we have plenty of distribution options for high-res music. Unfortunately, we don’t artists and record labels producing and releasing high-res music. I use my studio and audition my recordings using consumer speakers in a very quiet and well balanced room. Consumers have to compromise but that doesn’t mean that I should mix for the lowest common denominator. 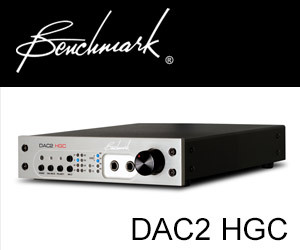 If you have a good DAC, a nice set of speakers, a good sounding room, and great recordings (high-res or not), you can have great listening experience. Can it be better with high-res recordings produced with fidelity in mind? IMHO yes. I’m eager to hear the answer to the deliberately compressing the music in home use question. I frequent live concerts in large halls, –2000 people +, size. The orchestra plays from ppp to fff + and I listen to it all comfortably. I cannot listen to this same range at home. As you indicated, when it is loud enough that I can just hear the ppp the fff is intolerably loud. That difference sounds nothing like it did in the large hall. 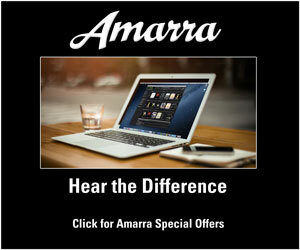 What is the difference to our ears? Alan, I can’t say I have this experience. My recording of the Ravel “Bolero” or Stravinsky “Firebird Suite” were faulted in a review in TAS years ago for having too much dynamic range. I couldn’t believe it. You simply have to have a quiet environment to listen to these pieces. Set you level for the loudest section and then audition the pianissimo opening. It should be fine. Having the ability to compress or limit the dynamic range on your hardware is the way it should be. Sticking all of us with highly compressed music is unfortunately the norm. You are asking a lot of different questions, that I’m sure Mark can address, way better than I could. If you can’t listen to a recording with wide dynamic range, one that has quiet passages that you can’t hear if you set the volume so the loudest passages aren’t overloading your ears and/or room, well then you have system and or listening room issues. Either your room or system has noise levels that are interfering with the quiet passages. I changed preamps and while I could hear tube hiss when my ear was a foot or so from my speakers,I didn’t know how much noise I had until it was gone. When reviewers speak of black backgrounds, they are referring to the lack of noise. That signal to noise ratio. First of all, I heard details in recordings that I had listened to many times. Before the upgrade I would have had to turn the volume up to an overall level that would have overloaded both the room, and my comfort levels. You can use your “night mode”, but you would be better off addressing your room acoustics, and whatever components are interfering with low level details. It could be your system, and/or it could the way it is set up.Crossover settings to your sub or subs, proper settings for your speakers, that you are crossing them over at a setting that isn’t overloading your speakers with too low of a crossover setting. Non audiophiles, and newcomers seldom address the issues of room acoustics. When you sit in your sweet spot with the system on, but not playing, it should be quiet in there. If you are hearing the AC or heater running or any noise, that will interfere with the hearing of low level detail, well then you will need to turn it up louder than is comfortable. Come over to the Audio Asylum and share what you are hearing, based on my suggestions. Search their archives for diy room treatments, and for info on setting up your system. Thanks for sharing the information on this album “One”. I purchased the download version, was really tempted to purchasing the $10 extra for the actual cd, but the download is great. Was able to read the pdf and listen to some great sounding music, I was just surprised that some of the music was created years ago. I listen via Fiio X5 and the dsd files were really a good listen. Again, thanks for sharing the information, I will get more info on the musicians themselves. It’s nice music well recorded…it’s just not “stunning”.